Finally Revealing My Truth: Why Did It Take Me So Long to See It? It’s shocking to me that it took me so long to see that I was T4. I have heard from others who know me that it was fairly obvious. So why couldn’t I see it? I fell into some common traps. 1) Thinking I wasn’t perfect enough for T4. Many T4s fall into this trap: our perfecting nature makes it so that we have a hard time seeing ourselves in T4’s symmetry and perfect posture, and/or feel like we don’t hit all the checkboxes. I don’t have perfect posture. Like anyone else, I can see where I have asymmetry in my face. My nose has long been a sore point for me in terms of my appearance, and when I read “lump of clay” for T3, I felt like I couldn’t be anything else in the system, especially not the “perfect” type. T4s and T3s can both have what is considered to be a “strong” personality. I am definitely a bold person, and the S1 makes me a little more high energy than, say, a 4/2. Things that I had thought were an indicator of T3 actually were an indicator of being T4 and being my own authority and not being afraid to express my opinion. No one would have ever called me an “active” child. I was very still–you could place me in a chair and I would stay there, observing the world. I didn’t talk much. I enjoyed spending time alone, working on my own things. I didn’t have much use for other children. I never related to the ways that T3s are shamed as children because, well, I wasn’t that kid. Many people who have placed themselves in the wrong type will dress with all the other elements of their actual type, just in the colors of the type they think they are. My “T3” wardrobe was basically 4/1, just in the T3 colors. The T3 elements never felt right on me and never suited my taste–even when I would buy T3 jewelry from the DYT store, it would literally be too large for my ears or wrists, and I never took any of the clothes I bought from there out of the package. So why didn’t I see these obvious things? I think it all goes back to #1: I just didn’t think I was “enough” for T4. I didn’t think my facial features would qualify. 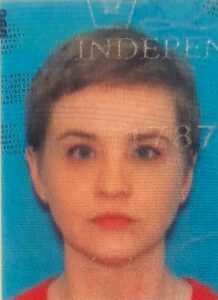 I had to see them from a different perspective (my license, with proper T4 hair because it worked better than T3 hair… another sign) in order to see myself as T4. And once I allowed myself to see myself as T4, I have been able to go back to what I love and what I feel expresses me. The Autumn colors never suited my personality, really. I am a bold person, and the clear, strong hues have always been what I have wanted to be in all of these systems. Again, I don’t feel like I would drape into these colors in any of the color-based systems, but when everything is put together, it is what feels the most true to me. And in the end, I think that is what we all want: to feel like ourselves.